The greatest amount of Chinese drywall was installed in the state of Florida, but it had been confirmed in 42 states. Homes built or remodeled between 2005 and 2008 were considered most at risk and it was estimated that more than 100,000 homes were affected. The gasses emitted by Chinese drywall typically smelled like rotten eggs or ammonia. More importantly, observed blackened corrosion of the air conditioner evaporator coil and of any exposed metals in the home were the clearest signs of sulfur emissions from the material. 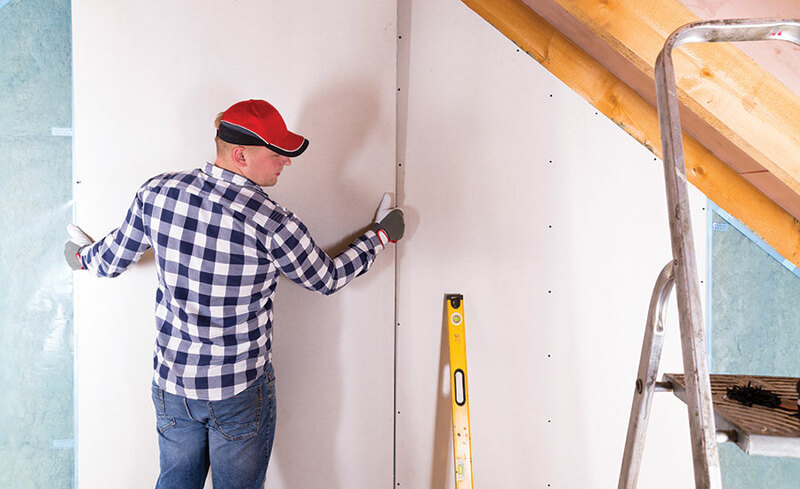 The Lawrence Berkeley National Laboratory, in conjunction with the U.S. Consumer Product Safety Commission, found that defective Chinese drywall samples showed hydrogen sulfide emission rates up to 100 times greater than non-Chinese drywall samples. Hydrogen sulfide is a hazardous gas, and those exposed to the Chinese drywall reported symptoms including irritated eyes and throats, coughing, sneezing, difficulty breathing, bloody noses, and other symptoms related to bronchitis and asthma. Problems worsened when trying to determine who was financially responsible for the remediation of these structures. Should the damage be covered under the insurance policies? What about the contractor who built or remodeled the structure? Or maybe the company that sold the Chinese drywall? Everyone was pointing the finger at someone else and nobody wanted to take responsibility. Finally, the ultimate question became what was the solution to fix it? Nobody really new, and people tried everything. How do you even know if it was Chinese drywall? Does the drywall have to be removed or can you treat it? What about sulfur gasses left behind after removing the drywall? What about the contents that were inside and exposed to it? Questions were endless and everyone tried to jump in to capitalize. Class action lawsuits, state and federal governments, and various organizations like the EPA began taking action. Ultimately, in October 2010, a U.S. District Judge in New Orleans endorsed a settlement in which Knauf Plasterboard Tianjin Co. Ltd. would pay for the repair of several thousand homes. 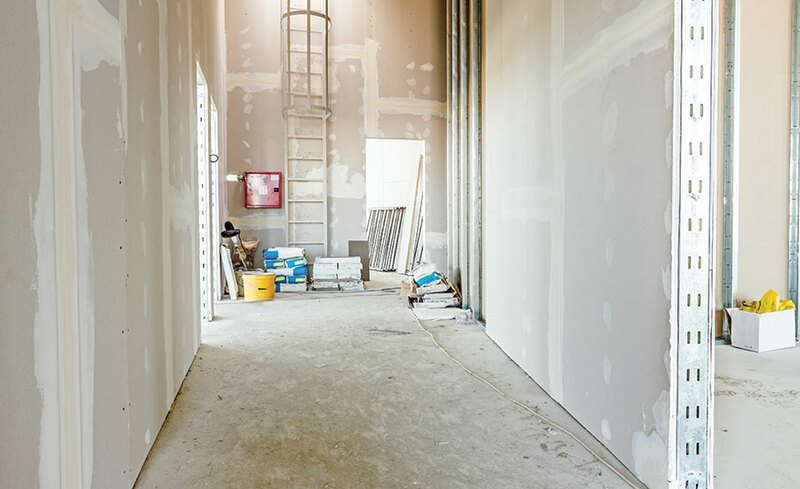 Knauf had been identified as a major producer of imported Chinese drywall. Though a number of other Chinese companies are believed to have produced defective drywall, Knauf’s name came up most frequently because the company printed its name on its products. Much of the other contaminated drywall had no markings, making it difficult to identify its origin. This settlement was the start of a structured and controlled system to restore homes and businesses. Moss & Associates, based out of Ft. Lauderdale, FL, was the company awarded the contract to remediate all the structures in the settlement. Countless contractors, plumbers, electricians, etc. applied to work with Moss as the subcontractors. Projects were located largely throughout Florida, with most others in Louisiana, Mississippi, Alabama, and Texas. In addition to the traditional work going into demolition and rebuild, the need to eliminate all sulfur gasses became a hot topic. The concern was once all of the drywall had been removed, there would still be parts of the structure, and contents, that had absorbed these various sulfur gasses. How were they going to get rid of them to ensure they were rebuilding on a clean slate? How could owners bring their contents back inside if the materials were still holding on to those sulfur gasses? This was a real problem, and this is where Tim Gipe stepped in. I had the privilege of working closely with EE&G Environmental Services, based out of Miami Lakes, FL, for several years at the peak of the drywall issue. Gipe, CEO of EE&G, agreed to give us a close look at how he was able to turn a big problem into an opportunity that helped thousands of families get their lives back to normal. Tim, what were some of the early methods used to address the sulfur gasses? Companies with every type of method to eliminate the sulfur gasses jumped at the opportunity – ozone, hydrogen peroxide, chlorine dioxide, chemicals, sealants, filters, oils, foggers, heat, negative air, etc. Nothing seemed to work very well to get 100% of the gasses eliminated in a quick and cost-effective manner. It was becoming a serious problem. I noticed the Odorox executives had been working on the issues with Chinese drywall for two years prior to the Knauf settlement. They were involved with various tests, trials, meetings, conferences, etc. The positive results were being noticed by the industry and we decided to take a risk and get involved. How did you approach Moss and enter into an agreement with them? We met with their executive team and presented them with the evidence to show that the hydroxyl radicals had eliminated all of the sulfur gasses in each of the test projects. We offered them a fixed rate based on the square footage of each project regardless of where it was located - this kept it simple and clean. We showed them our plan for how we’d cover all of the geographic areas where the work was to be done, as well as how we would grow our resources as the number of projects increased. Finally, we provided them the assurance they needed for something this large by guaranteeing our work and telling them if any project failed a sulfur test we would retreat it for free. To be clear, we agreed to have each project tested after we treated it and after the rebuild was done. The exciting news for everyone is we had every project tested and passed every single one – not one failure. How were you able to handle so many projects? First, we formed a separate company focused solely on this issue – Sulfur Gas Destruction (SGD). We had quite a task ahead of us since we were now responsible for treating thousands of homes located throughout the southeastern United States. We coordinated with the contractors responsible for the demolition and rebuild in advance to us providing treatment. SGD had 24-hour access to all properties, all were locked with contractor locks, and SGD was provided our own code. First, we would have the contractor complete a pre-treatment checklist to ensure the property was in the required condition for treatment. The structure had to be free of all drywall, copper (electrical & plumbing), and personal belongings. All cabinetry was to be removed from the structure and placed either in an open area within the structure, or stored onsite in containers. They needed to be spaced out and open to ample airflow to ensure proper treatment. We also required temporary power of at least 20 amps on site. The SGD technician would evaluate the size and layout of the structure. He would then position the hydroxyl generators and additional air movers to generously saturate the air and structure for a period of 24 hours. That’s all the time we had to get the job done, so we had to blast it. If onsite containers stored affected cabinetry, our technician would place a minimum of one XL3 hydroxyl generator inside the container. After 24 hours of ongoing treatment, the technician would enter the structure, turn off the hydroxyl equipment, open the windows and doors, and position the air movers to create an active air exchange. Then, it was on to the next project. How did everyone know the treatment was successful and the project was ready for rebuild? Following each of our treatments, a third-party inspector would test the structure and determine if any sulfur gasses were still present before rebuild was authorized. After the rebuild was complete, and before the keys were handed back over to the property owner, a second test was performed. Like I mentioned before, the technology was so powerful we did not have a single failed test. Having the confidence to go into several thousand projects and know we were going to do our job well was quite rewarding. What challenges did you face as the work started? It was mainly communicating directly with the contractors and making sure they did what they needed to on time so we could do our job. We had three checklists and guidelines for them to review and adhere to. One had instructions for fine cleaning the structure after demolition, one was for how to handle contents that may have been there, and one was a pre-treatment checklist to make sure everything was ready for us to come in. We had 24 hours per property. That’s it. We had to set up the Odorox machines, blast the structure, and remove the machines knowing we had someone coming in to test that it was 100% complete. There was a lot on the line and we refused to fail. Well, if you think there is an opportunity for something and you have a unique advantage, go after it. Just make sure you have all of the logistics in line so you don’t get overwhelmed. And figure out ways to get around what might be seen as issues. For example, we didn’t have offices located throughout all of these states. But we found ways to station the machines, the trucks, get temporary help, and make it work. People also told us there was no way hydroxyls could work in 24 hours, especially when dealing with difficult gasses containing sulfur. We figured out how to do it…put in more machines and blast it. We learned a lot from the process. To sum it up, I’d say look for unique opportunities, come up with creative solutions, put your team and a plan in place, and go after it.